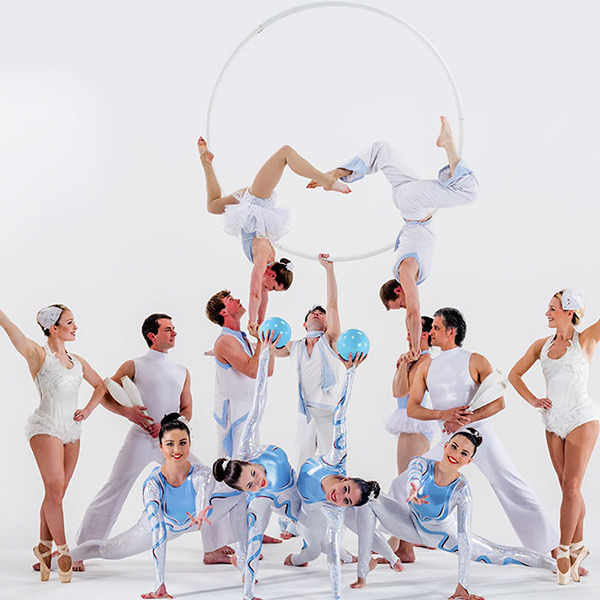 Choose who you would like to feature – Acrobats, Olympic rhythmic gymnasts, aerialists, UV jugglers, cyr wheel, winged ballerinas, free-runners, wall walkers, aerialists flying up in the air on winching systems. And if the sky’s the limit, we can produce unique equipment just for you! Themes – Cirque D’Soleil, Frozen, Corporate, Fantasy.